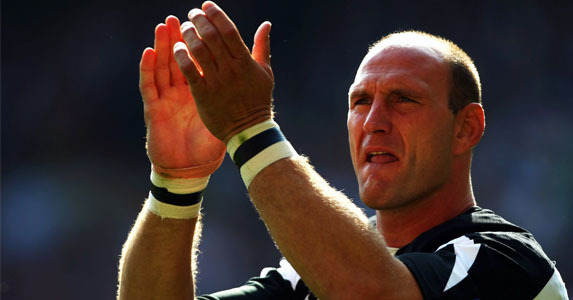 These days it seems you can’t keep Lawrence Dallaglio off a bike. But this time he has signed up for an epic trip that is going to test the resolve – and fitness – of the former England captain. Dallaglio and former England cricketer Andrew Flintoff will lead a team of more than 250 riders on the 2,817km route (1,750 miles) from Greece to London in the year that the Olympics come to Great Britain. The Virgin Media Dallaglio Flintoff Cycle Slam 2012 is aiming to raise millions of pounds for charitable causes. Kicking off on St George’s Day (23 April) from the ancient birthplace of the Olympics in Greece, the journey will take the riders through Italy, across the Swiss Alps and through France, before reaching London on 18 May. Each Cycle Slam rider is expected to raise in excess of £3,000 to support the legends in reaching their fund-raising goal of £2,012,000. All of the money raised will support some fantastic British causes through the Dallaglio Foundation (supporting a major prostate cancer project), the AF Foundation (supporting the development of children’s rehabilitation and physiotherapy units), and Virgin Unite, helping young people in the UK to increase their employability and entrepreneurialism, as well as tackling other important issues for young people.